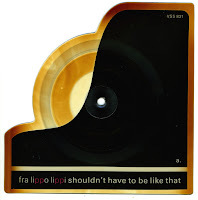 'Shouldn't have to be like that' was Fra Lippo Lippi's international breakthrough single. They had already built up a reputation in Scandinavia as an indie band, but this pop song caused some international interest. When the single was released, a 12" single quickly followed. In the absence of any remixes, the archive of the indie label which they originally released their music on was plundered: 'Say something' was licensed from Uniton records. It sounds less polished than the other tracks, but it is a very interesting piece of electronic music. 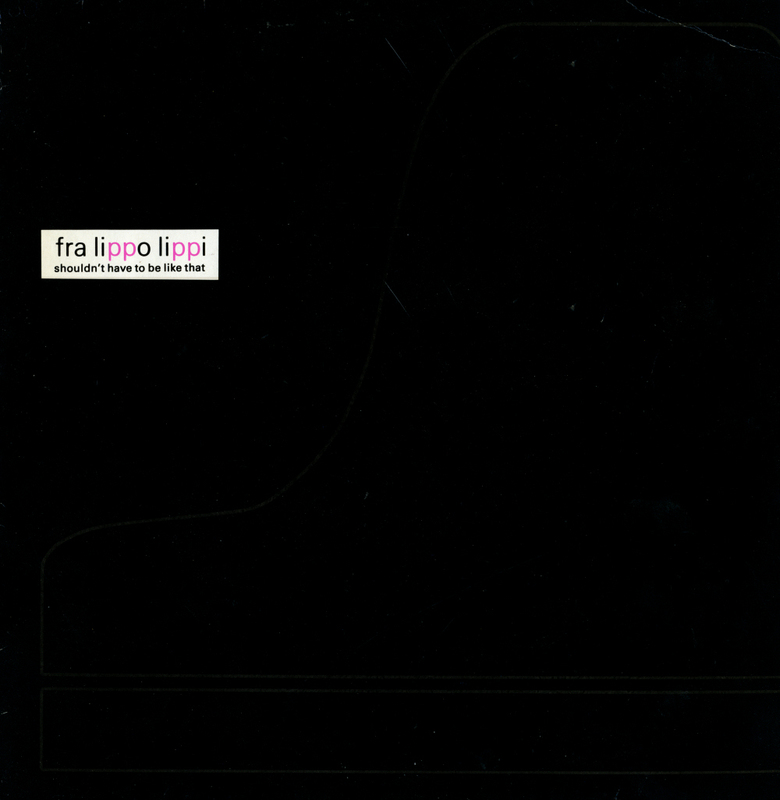 The Norwegian band Fra Lippo Lippi has never known any enduring success in the UK and Europe, but their popularity is still quite extraordinary in Asia. 12" singles like this one would probably be sold for collectors prices over there, especially with exclusive live tracks on the B-side of this disc. As it is, I could buy this 12" single for next to nothing. 'Some people' is an excellent track from the band's 1987 album 'Light and shade' and is backed with two live versions of tracks of their previous and most accomplished album 'Songs' (1985). 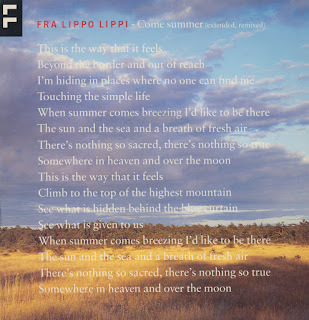 Fra Lippo Lippi is always worth a listen. 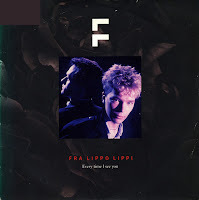 Fra Lippo Lippi released three singles from their 1985 album 'Songs', of which 'Every time I see you' was the last. The track was remixed before it was released as a single, but the single version and the version on this 12" single are the same. The bonus is included on the B-side. Besides the single B-side 'The heather on the hills', it adds another beautiful instrumental track, 'The true story'. This track was definitely worth the money for buying this disc. 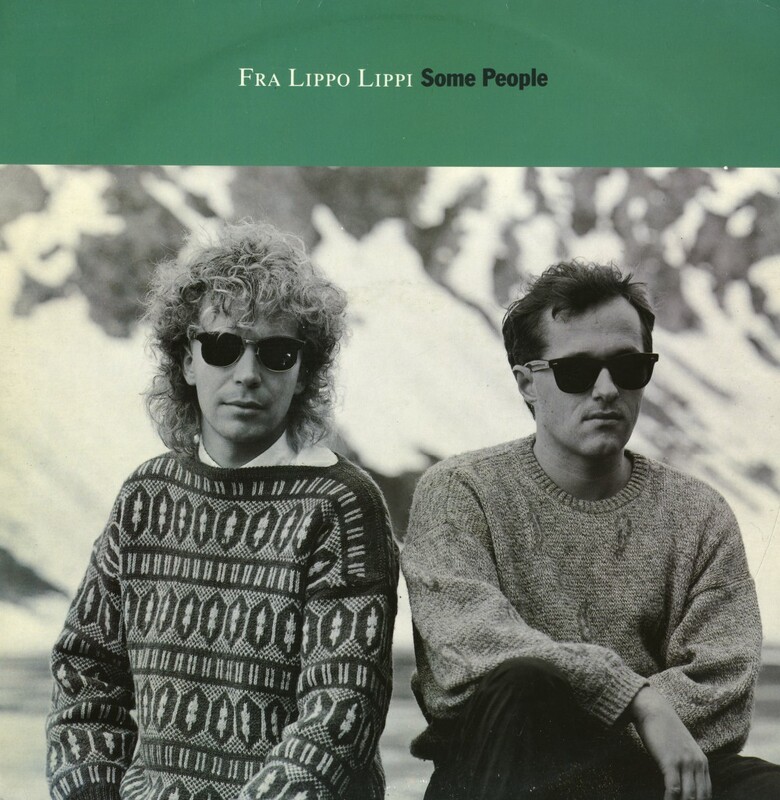 'Some people' was another single taken from Fra Lippo Lippi's 1987 album 'Light and shade', and I'm glad to say it sounds more upbeat and less bland than the other single, 'Angel'. The single didn't help their international career much: it failed to chart in all territories, except, probably, Scandinavia. 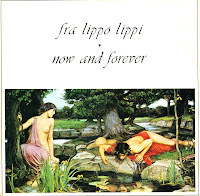 When I bought this single I didn't know much more about Fra Lippo Lippi than their 1985 album 'Songs'. I found the single 'Angel' and decided I wanted to try out whether they'd continued on the path of listener-friendly synthpop. 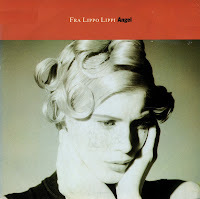 'Angel', like the album 'Light and shade' (1987) is a slight departure, though. It moves into the territory of bland middle-of-the-road pop, although it does steer away from all too obvious cliches. Not their best work, then. But it's not too bad, either. It's a bit... well... middle of the road. I bought the Fra Lippo Lippi LP 'Songs' some time after it was released at discount price. I discovered that not only their most famous single 'Shouldn't have to be like that' and its B-side were very good, but also the eight other tracks on the album. And so I spent years trying to find the other singles released from this album. 'Every time I see you' is probably the most interesting of them all, with a re-recorded version on the A-side and the instrumental track 'The heather on the hills' on the B-side. Norwegian pop at its very best. 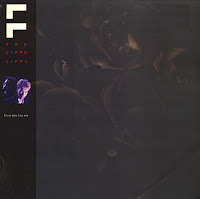 The Norwegian band Fra Lippo Lippi had a European hit with 'Shouldn't have to be like that' in 1986. It would be their only hit, because subsequent singles were hits in countries like Norway and the Phillipines only. In the Phillipines the band still has a great fan following to this day. Rune Kristoffersen and Morten Sjoberg formed the Norwegian duo Fra Lippo Lippi in 1980. Originally their music was gloomy, drum machine-driven synth music with muffled vocals, influenced heavily by Joy Division. Their debut album 'In silence' was recorded on a 4 track recorder in a basement in Oslo. The vocals of Rune improved already on this 1982 7" single 'Now and forever', which they released in 1982. The song is more catchy and the vocals are almost audible this time around. What's more, the B-side consists of two beautiful piano-based melodies. It was a first glimpse of their later melodic pop.